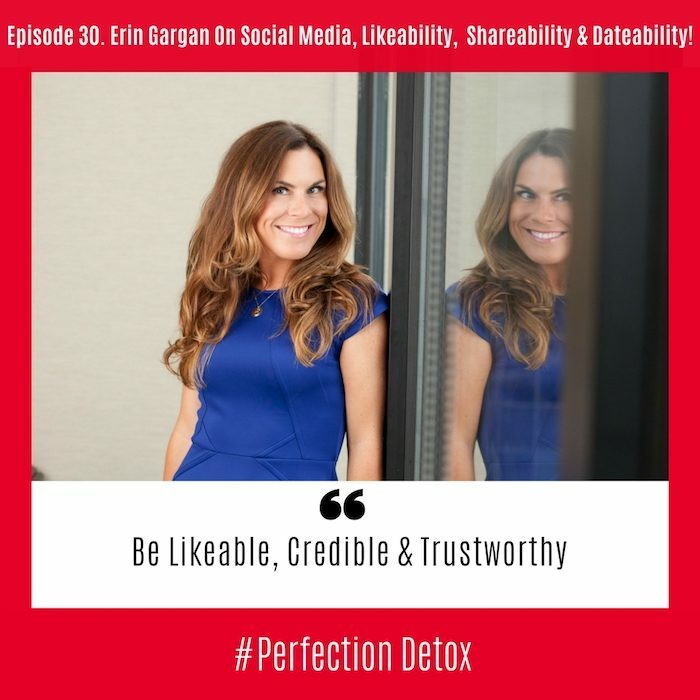 Episode 30: Erin Gargan On Social Media, Likeabilty, Shareability and Dateability! I first met Erin Gargan at the 2016 ISPA Convention that took place in Las Vegas. I heard Erin speak and was instantly a fan. A millennial who is crushing online media, Erin shares so many terrific insights around best practices when it comes to social media. We begin our conversation around the work she does with companies but stay tuned as we pivot the conversation into how we can use social media to deepen our connections and expand our reach even if we work for ourselves. Erin discusses the importance of, “Serving not Selling” and whatever your reason for being on social media she shares the top strategies to think about when considering your online audience. We discuss the millennial question that went viral a few months ago and I have included the link to this interview with Simon Sinek below. Erin also talks about the shadow side of social media and the importance of balancing our screen time with face to face time. I love Erin’s take on social media and that it is not the posts that we put online that will make the impact, but rather “how shareable” the information and inspiration is that we decide to post. We end this interview with discussing how to best influence your online dating profile (should you have one) to attract the right types of people to you and into your life. Whether you are dating online, your business is online or you are online for social media only, you will walk away with tons of new insights as to how to make technology work in your favor. Erin is the founder of Socialite Agency, an award-winning social media, and sales training agency. Erin is also the author of “Smart Social: Evolving Your Sales Strategy for the Digital Age” available in bookstores September 2017. Her clients include The Oscars, Mercedes-Benz Fashion Week, ABC/Disney Television, VISA, Nelson Mandela’s Legacy of Hope Foundation and others. Erin has been featured in Forbes, BusinessWeek, Business Insider, iTunes ‘Top Entrepreneurs’ Podcast, and has presented at dozens of conferences nationwide. The Orange County Business Journal named her one of their top “Women in Business.” The Interactive Media Awards honored her team with “Best Facebook Application.” The Professional Convention Management Association awarded Socialite Agency with “Best Social Campaign 2016.” Since 2004, she’s worked in the social media, events, and digital marketing spaces for over 100 brands.